A humble cucumber has high water content and key ingredients for a long-lasting beauty regime, natural hydration and glowing skin. This skin beneficial qualities like silica and pH same as the skin, are the main reasons why cucumbers are able to improve the complexion and health of the skin. You can revitalize your skin with mask made of cucumbers, yogurt, honey, aloe vera gel and lemon juice, or put slices of cucumber on your eyes to control puffiness. This wonderful beauty aid mixed with rosemary essential oil and egg white is a great anti-blemish face mask. 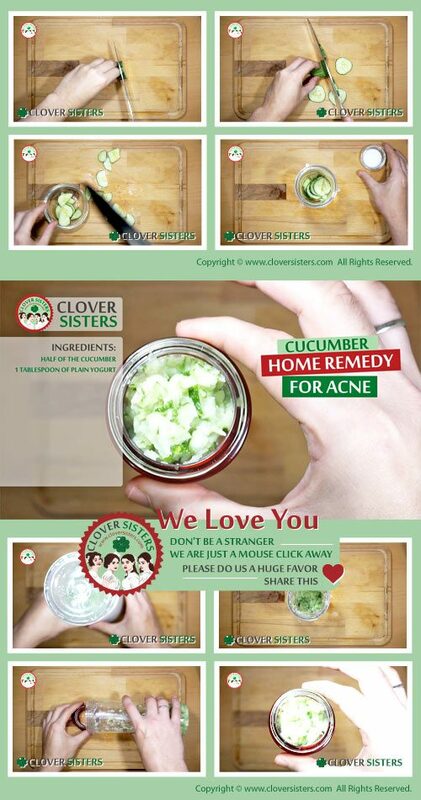 Cucumbers can be used to treat open pores, just mix it with an apple cider vinegar and tomato pulp. According to dermatologist cucumber is a hydration wonder for dry skin. With its high-water content, vitamin C and caffeic acid, cucumber is able to hydrate the skin more effectively than water, reduce swelling, and soothes inflamed or irritated skin. Including cucumber in your diet is not just good for general health it’s also good for hair. As a one of the most effective natural hair treatments, cucumber contains almost all the nutrients required for damaged and thin hair reparation. Take half of the cucumber and 1 tablespoon of plain yogurt. Blend until smooth and then apply on skin. Rinse it off after 15 minutes. Repeat this three times a week.